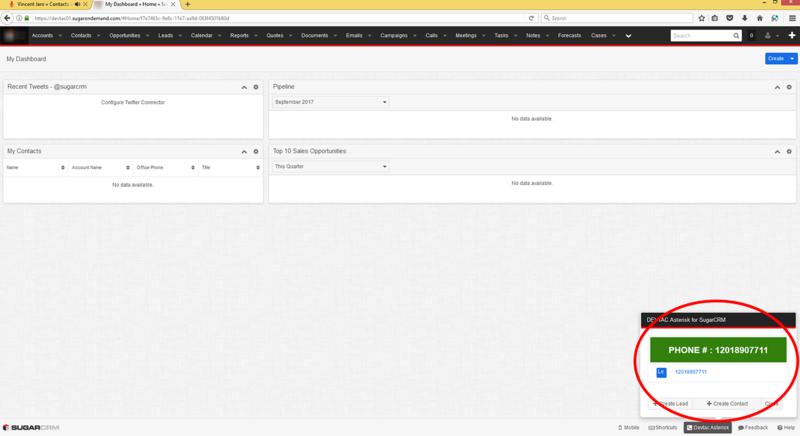 DevTac SugarCRM 7 - Asterisk is a Voice over Internet Protocol (VoIP) software integrated into the SugarCRM platform. CRM users can now make and receive phone calls without the traditional circuit transmissions of the PSTN (Public Switched Telephone Network), with the help of a soft client telephone or "softphone," like Zoiper. Softphones, like Zoiper, will provide you a low total cost of ownership (TCO). This integration is equipped to record all calls, incoming and outgoing. The call will now commence using the installed ClicktoDial (Zoiper) add-on. 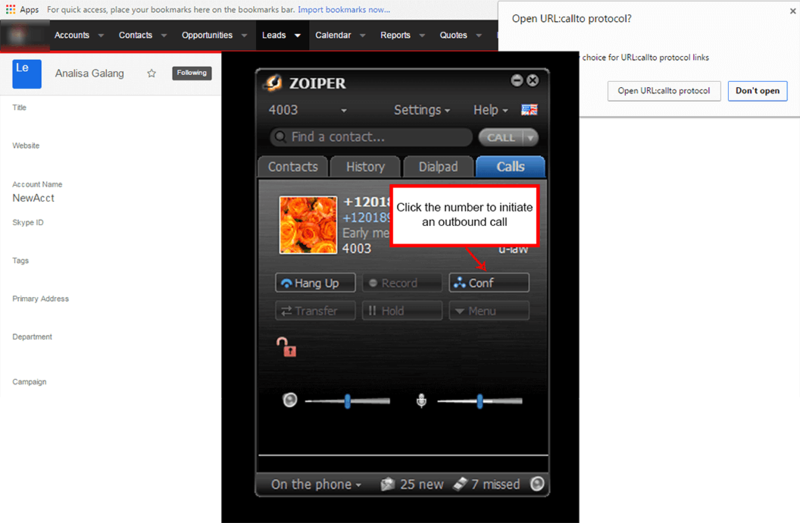 Popup information of the caller whenever a call has been received through Zoiper. This caller’s contact information is not yet saved on the system, thus options to add the caller either as a Lead or Contact is available. 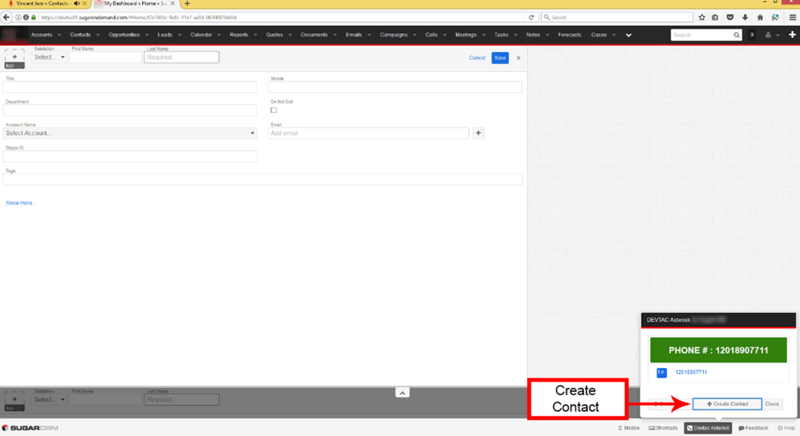 After every call, a call record will be automatically created in SugarCRM and the call recording will be attached to it. 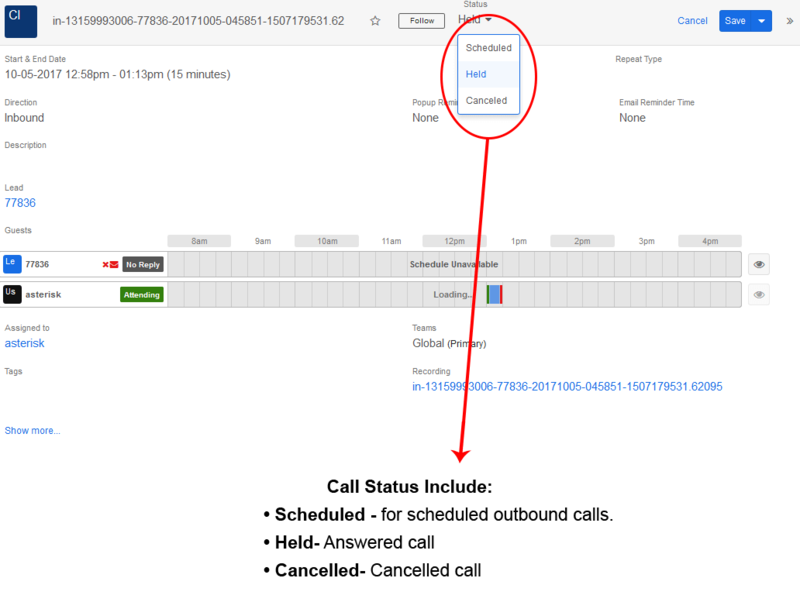 The call record will be associated to a lead or contact wherever the number is stored.